team specially working for Yahoo Store Management. Our Yahoo Data Entry Experts have worked with numerous ecommerce websites dealing in a wide range of products such as Home, Furniture, Sports Equipments, Industrial Products, Fashion Apparels, Automotive Ancillaries, Cars & Sports Bikes, Jewellery, Stationery Items, Health & Fitness Items, Medical Equipments, Musical Instruments and many more! 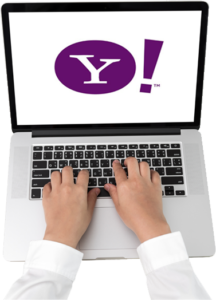 Our professionals can perform a multitude of tasks for you which will prove extremely beneficial for Yahoo Store Maintenance. With immense experience and technical prowess, our professionals at Ace eComm can skillfully manage your Yahoo Product Entry requirements so that you reap immeasurable amounts of profit. We have the ability to collect product data from an array of sources like hard copy catalogs, manufacturer website, digital sources, scanned photos/images etc. Our Yahoo Product Data Entry team works relentlessly to avoid errors or loopholes on any front. We help you by adding, modifying and updating the existing products systematically to highlight fresh and relevant information to your customers. Our experts can also handle product attribution, categorization, SKU’s and inventory management with precision to promote your brand on a wide scale. Our highly creative Content Writers make sure that the product descriptions are crisp, concise, and in sync with search engine norms. We make it a point to not only use just good words, but put the right words at the right place so that the potential customer is left with zero doubts regarding product information. We have the capacity to develop dynamic and revenue generating online catalogs for your Yahoo Store and deliver the entire task of catalog processing in a quick turnaround time. The images we put up to compliment the product descriptions are no less than a winning combination! Our Image Editors can create, enhance, edit, crop, tag, and remove blemishes from raw images. We can also apply relevant graphics to strike a visual appeal. With the use of latest bulk listing softwares, we can also help you with Yahoo Store Bulk Product Upload. We are well versed with softwares like Turbo Lister, Auctiva, InkFrog, and CSV files for Amazon. We provide full assistance with Yahoo Inventory Management. We make sure that out-of-stock products are listed as out-of-stock. We also categorize and subcategorize your products for a seamless navigation process. We can help you with order tracking and processing too.